One of the issues with running a professional practice is that we are typically so focused on the technical aspects of our profession and developing our technical skills to be the best we can be. There is nothing wrong with wanting to be professionally competent, except that it is easy to lose sight of what is really the most important element of being in professional practice. That is that we give our clients what they really want. How do we know what our clients really want? It’s easy to make assumptions about what clients want. 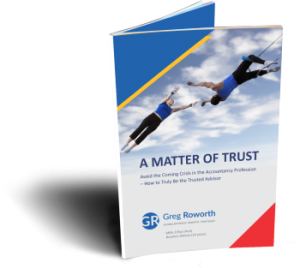 But often, without really checking that our assumptions are correct, we can make decisions about how to run our practices and how to serve clients in ways that are sub-optimal and ultimately costly to our business. The most worrying element in this equation is that often we will never even know that we are not giving our clients what they really want. The reality is that most people won’t come to us and complain if they don’t get what they want. They just go somewhere else next time. As a professional service provider, we typically try to provide a great service. Our knowledge and skills are essential elements here. But how many highly skilled doctors have had complaints about their “bedside manner?” Clients need to experience care and compassion in every element of the interaction with a professional service provider and their team. There is more to it that just being competent and professional in the technical aspects of our work. If we are running a professional practice, we also need to be focused on the experience our clients receive through every interaction with our practice, whether that be from how they found out about us in the first place, to how they book an appointment, or how they are treated in reception, or what products we offer beyond our service to add to their ability to get what they really want. A 2010 Customer Experience Research Report found that clients want to have a great experience with service providers and that most people will choose to become a client based on a reputation for providing great service. This element is so important that 85% of respondents said they would be prepared to pay more than the standard rate to get better service. That is a statistic worthy of our attention, if we are at all worried about our pricing strategy and what we have to do to gain and keep clients. How much time do you put into determining what you will provide to clients in terms of the experience you will deliver in each interaction they have with your practice? How does it compare to the amount of time you spend on developing your technical expertise? As someone who has a great desire to help others in a professional capacity, does it make any sense if you limit the amount of people you can help by not providing them what they really want in the interactions they have with your practice at each step of the journey? One of the assumptions professionals often make is around pricing, especially if your profession has no clear guidelines. Another assumption relates to thinking that your clients would only want a basic level of service instead of a premium level. It is often a false assumption to assume that clients want cheaper pricing and the temptation to offer cheap product lines in favour of more expensive, higher quality products is high. However, when you make this choice, do you actually check to find out what your clients really want? How much attention have you paid to determining the psycho-graphic profile of your ideal client base? 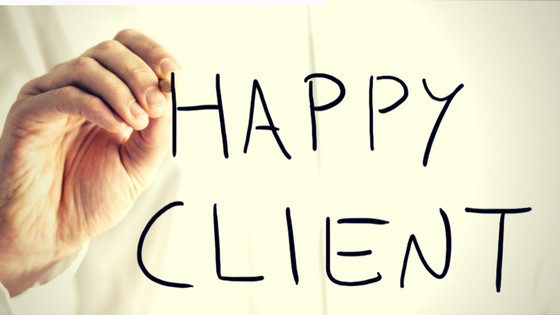 Have you even thought about what type of clients you would want to work with? Or have you just accepted that any client is a good client? These are business related choices that often, as professional service providers, we give scant attention to. However, as important as it is to provide great service in our area of competence, it is just as important that we decide what we want our practice to be like and what experience we want our clients to enjoy when they interact with us. With the increasing level of competitiveness that characterises many of the markets for professionals these days, it is critical that we give thought to what makes our practice attractive to clients and that we make the effort to find out what they really want. If our practice is seen as just one of many similar options and we give potential clients no reason to choose us other than the fact that we are competent and professional, we will have to put up with being treated as a commodity and suffering the suboptimal result that come from being in that situation. For the betterment of our practice and the enhancement of our ability to provide clients what they really want, we must plan and determine what our business stands for and communicate what we intend our clients to experience when they work with us. We want our clients to become raving fans so that they tell their friends all about the great experience they enjoyed with us. This won’t happen if we just assume we know what they want. It will only be the result of taking a strategic approach to developing our practice based on the specific knowledge we gain when we take the trouble to learn what our clients are looking for. This means more than being a professional in your area of competence. It means being a professional in developing your practice and being a professional in managing your business to deliver the experience your clients really want.